Bridging the Gap project’ team visited East Belesa on 26th March as part of an activity carried out within the framework of its joint work with the programme SWEEP (Water for Food Security, Women’s Empowerment and Environmental Protection), which empowers women living in the villages of the woredas of East and West Belesa, among other activities. During the visit, the project team verified how in a group of around 25 women an average of 15% was composed of women with disabilities. “Until Bridging the Gap came in we had no women with disabilities involved – explains Sisay Mengesha, team leader of SWEEP for East and West Belesa – Thanks to the training received we have now included some of them in the groups and we hope to expand the number soon”. Funded by the Austrian Development Agency and implemented by CARE International, SWEEP programme is a successful example so far of the Bridging the Gap’s work in Ethiopia, where the project is working through existing programmes and initiatives in the country, helping to consider the disability dimension. SWEEP provides the groups with trainings on entrepreneurial activities, financial management, micro loans and micro-financing, helping them in using their collective savings to give impulse to income-generating activities in agriculture, livestock breeding and handcrafting. The country team of Bridging the Gap from the Austrian Development Agency, implemented partner of Bridging the Gap in Ethiopia, has been provided awareness raising, training and follow-up to the local project teams to understand the disability dimension and support the inclusion of women with disabilities. It is now fundamental to keep working on this line to achieve greater inclusion and reach out more women with disabilities in the region, notably those left at the margins of society. This is why Bridging the Gap and SWEEP are joining forces to work together with the local woreda’s administrator, Mr. Dejenie Sisay, to reinforce the capacity of government staff on disability inclusion. 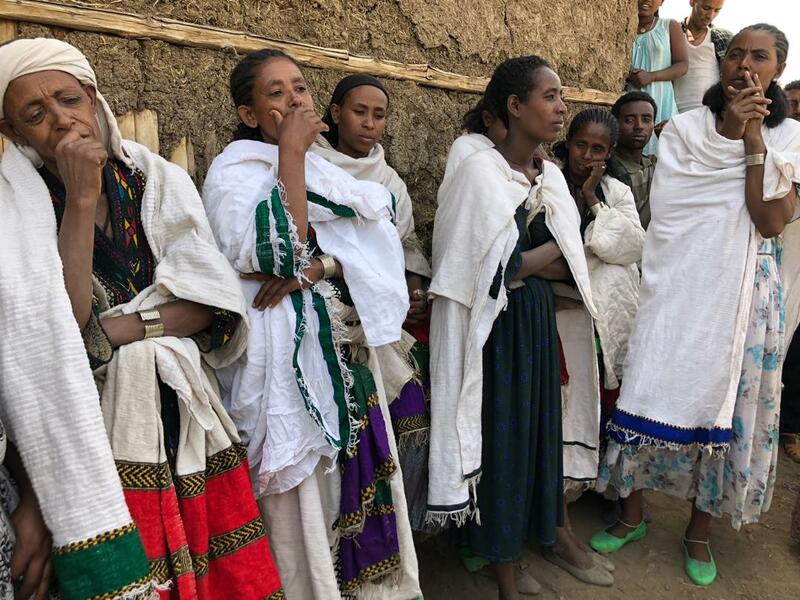 In Ethiopia, Bridging the Gap works to enhance the social protection of persons with disabilities at federal level and in the Amhara and Somali regions. The role of women with disability is particularly taken into consideration, notably because of the multiple forms of discrimination they are subject to.